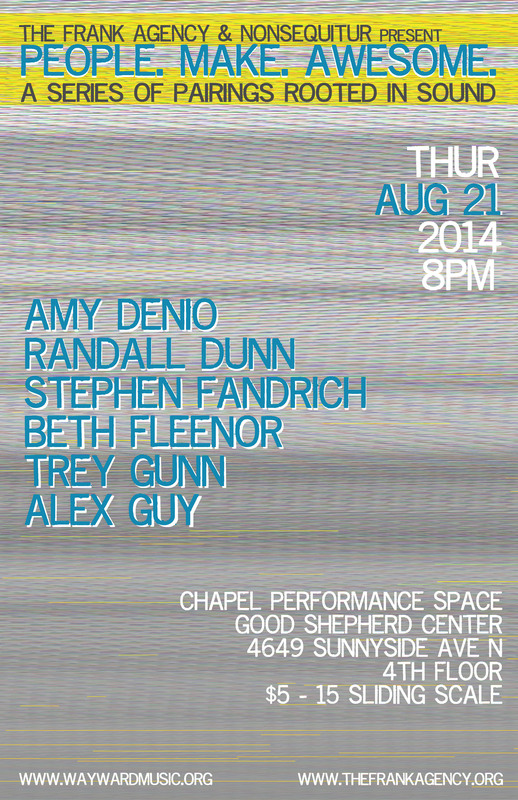 SHOW 8/21: PEOPLE. MAKE. AWESOME. 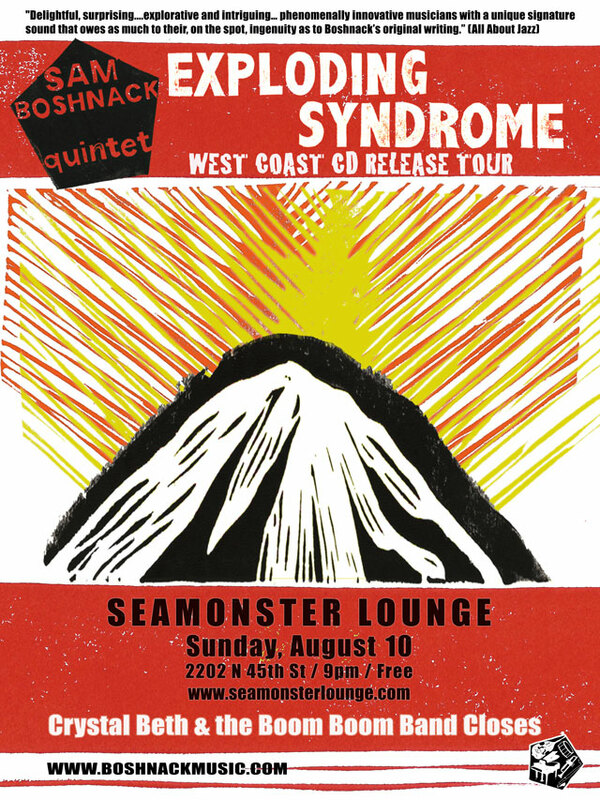 The Sam Boshnack Quintet will be touring the west coast August 13-20 in support of their debut release, Exploding Syndrome! SHOW 8/21: PEOPLE. MAKE AWESOME. The Frank Agency and Nonsequitur have joined forces to present People. Make. Awesome. — a three-part series of pairings rooted in sound curated by Beth Fleenor. The August performance will feature three sonic duo pairings, to be announced at the event. A night of stellar, highly individualistic artists, given opportunity to communicate freely. Each duo set will be improvised. This rare line-up promises a boundlessly dynamic event. Give people a place to make awesome, and they will. Additional People. Make. Awesome. pairings featuring sound, dance, and moving image are scheduled for November 13 & December 11. 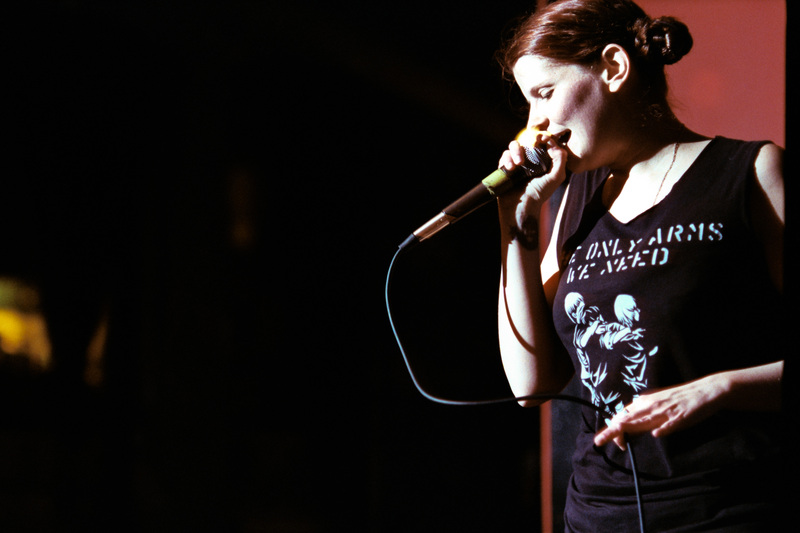 The Yugen Series features select tracks from live Crystal Beth shows. They are imperfectly perfect, perfectly imperfect artifacts that capture the BOOM in it’s natural habitat.